My name is Jonathan Weaver and I am a proud mentee of the 100 Black Men of Greater Charlotte’s MOY Program. I am a sophomore at Fort Mill High School. It was an honor to win the Mentee of the Year award this year for the 100 Black Men of Greater Charlotte. The award has pushed me to do great things in school including maintaining my 4.7 GPA. 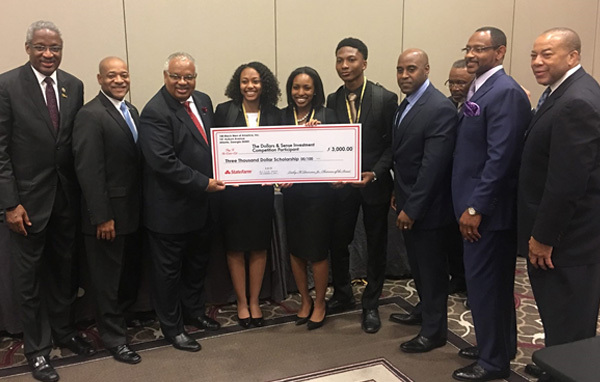 I also got to represent the Charlotte chapter at the 100BMOA National Conference in New Orleans by winning the Black History Challenge. My goal is to go to college and study broadcast journalism and have my own TV show. Outside of academics, I enjoy the fine arts. I’m in my school’s drama club and the chorus. This spring our choir got to perform at Carnegie Hall! I aspire to follow the footsteps of the mentors in the 100 Black Men and do great things. Member Spotlight – Michael Bowlding Sr. Improve The Quality Of Life For The Communities We Serve.